This inner courtyard at Glaciers Reach is great for kids to play, grass in the summer & snow in the winter. All of our homes have flat screen TVs with 100+ channels, DVD player, Wi-Fi and stereo. My three kids have grown up taking lesson at Whistler Mountain and it is always an awesome experience. 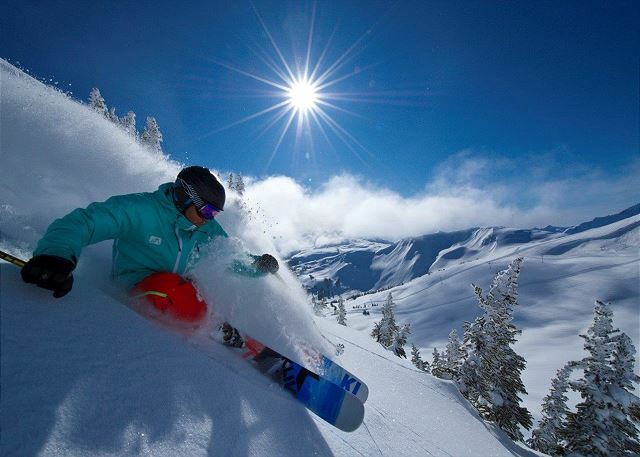 Whistler is consistently rated the #1 ski destination in North America. 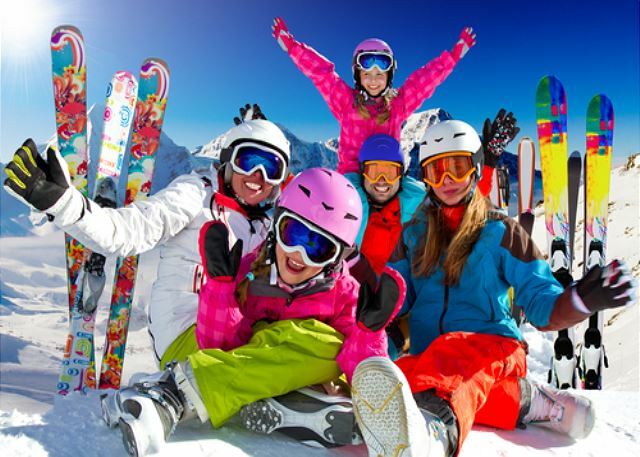 Ask us about discount lift tickets. Just another Whistler local. 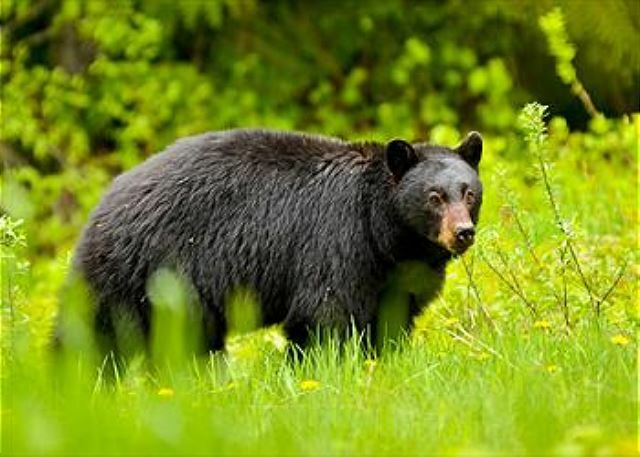 Bears are really cute but please don’t feed them. 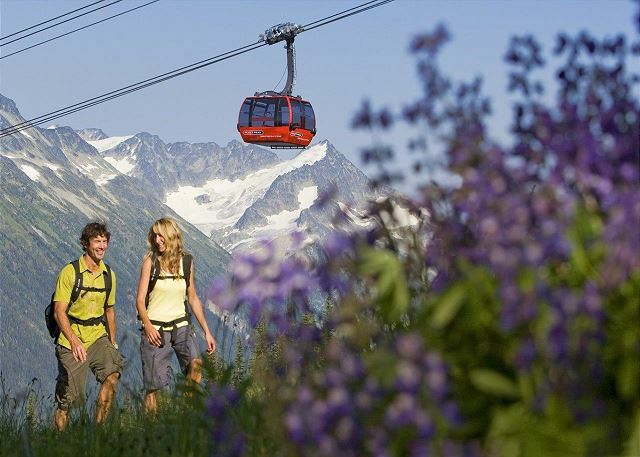 Whistler is best known as a winter wonderland but locals will tell you that summer is even better. 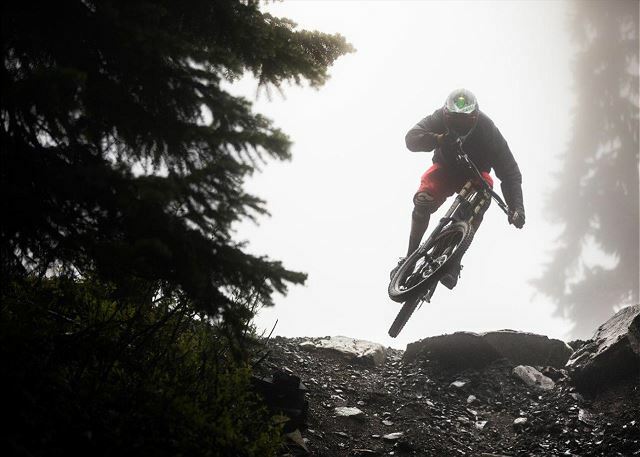 Whistler Mountain bike park has something for every level of rider, have fun! Where do you want to ride today? With 37 lifts and over 8000 acres of terrain the options are endless. 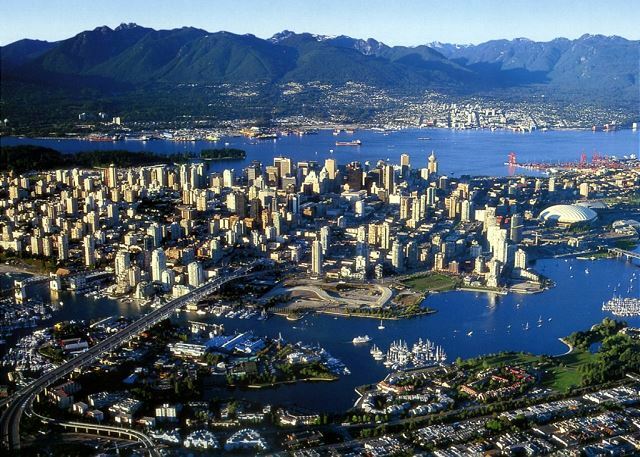 Vancouver, a world class city, is a short two hour drive on the scenic sea to sky highway to Whistler a world class resort. Awesome x 2! 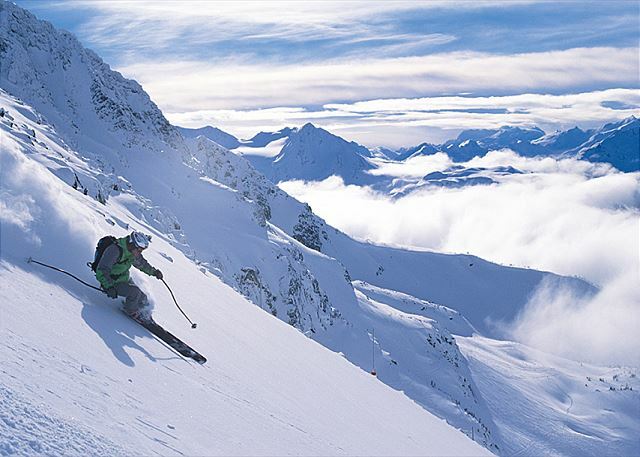 Whistler & Blackcomb Mountains: 1609 m vertical with 37 lifts and 11.7 m annual avg. snowfall. Kids love the heated year round pool, shared hot tub and sauna. We have over 2300 guest reviews and a 4.5 star average rating so give us a call toll free at 1 888 922 8882 for help planning your next Whistler Vacation. 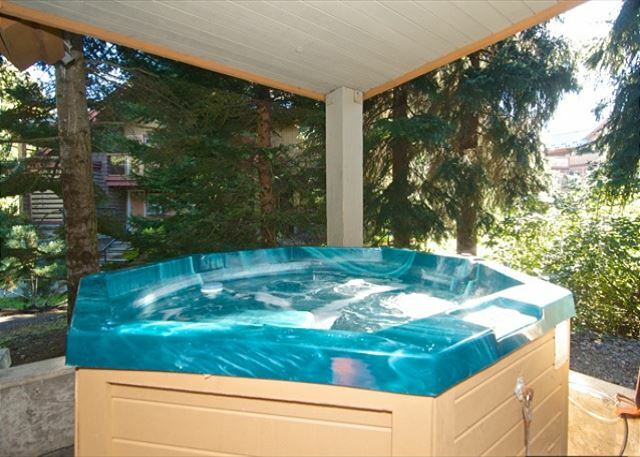 Relax in a private hot tub overlooking the inner treed courtyard and pool area. There is a 40" TV in the main area as well as a TV in each bedroom. We hope that you enjoy all of the comforts and amenities of this fully equipped vacation home at Glaciers Reach. 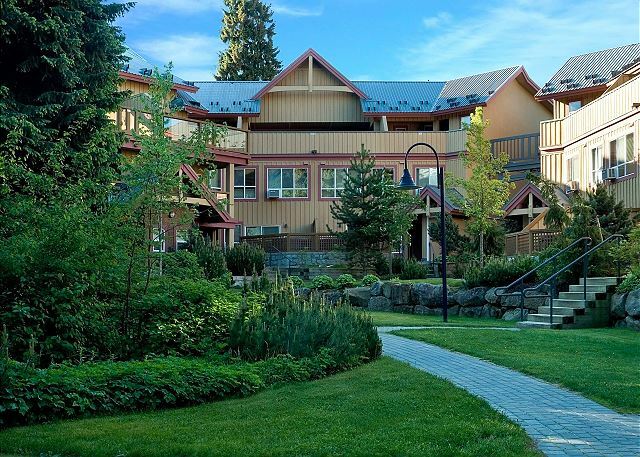 Our guests appreciate the convenience of staying across from the Whistler Market Place which boasts; liquor and grocery stores, coffee shops, restaurants and several shops. All of our homes at Glaciers Reach are a ten minute walk or a free shuttle ride to the base of Whistler and Blackcomb mountains. 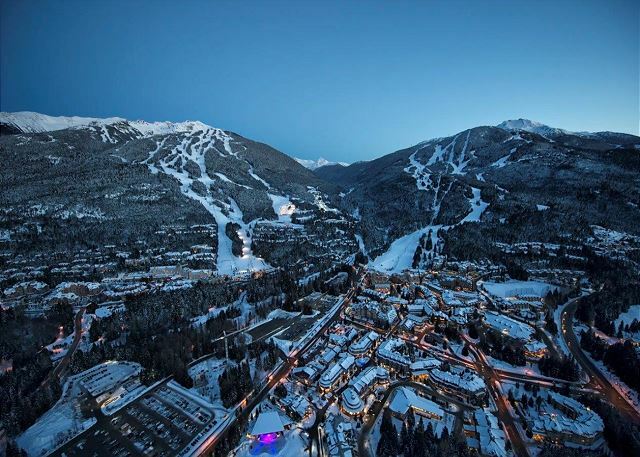 Everything that Whistler Village offers is at your door step, along the picturesque, cobble-stoned village stroll. 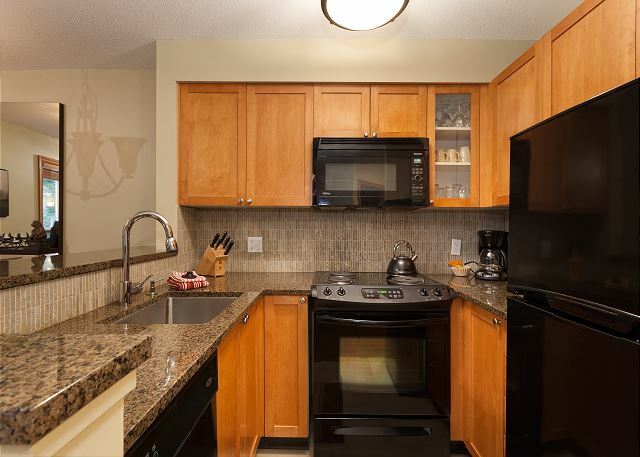 Some of the recent upgrades to this two bedroom two bathroom townhome include granite countertops, stainless steel appliances, hot tub, BBQ and 40 inch TV. Other features include a gas fire place, heated year round pool, shared sauna, AC, free underground parking and high speed internet with Wi-Fi. This vacation home sleeps a maximum of six guests but four is recommended. 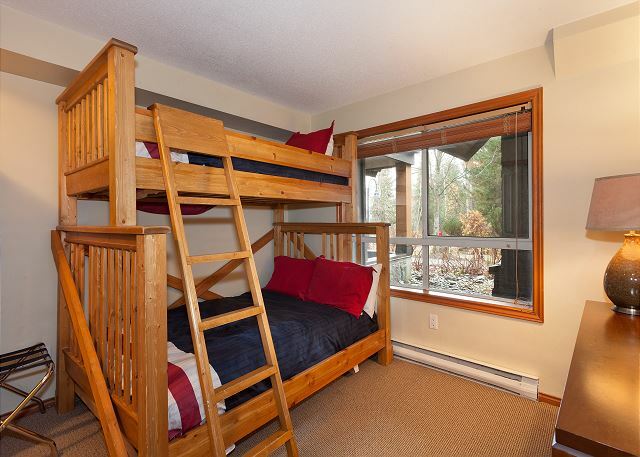 The bedding consists of: a queen bed, a bunk bed and a double pull-out couch. 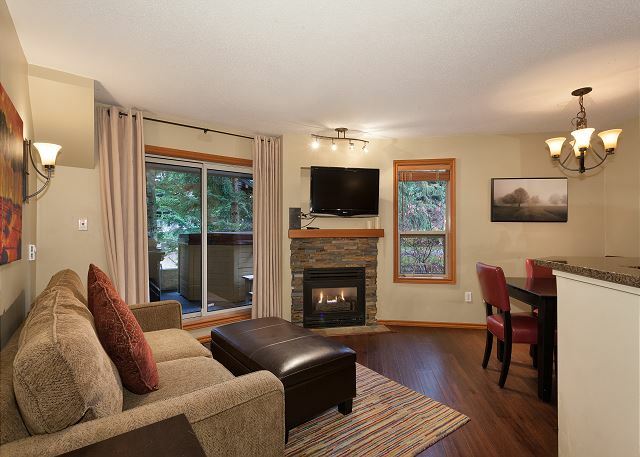 All of our Whistler vacation rentals are professionally managed, well maintained and exceptionally clean. We couldn't have been happier with our accommodations. They were comfortable, we had plenty of room, it was clean and the best location! Thank you so much for letting us enjoy Whistler in your home, it was more than we could have imagined. We had a great time staying at this property. The unit is spacious and has everything we needed. The location is perfect situated right beside the village so you can quickly escape the bustle and relax in the private hot tub. Rental process was very easy. We'll be staying in this unit again in future visits. Exceeded expectations! Very cozy, very convenient! The perfect base for our Whistler getaway. Fireplace, hot tub, clean and comfortable furniture and beds, kitchen stocked with plates and utensils, one bathroom per bedroom for privacy. Really excellent! Using timed keycodes for door access is supremely convenient: no need to check in or out, no key to lose, each person can come/go whenever they want. The location is great: right across the street from the liquor store and the grocery store. Would recommend! We recently had a wonderful stay in this unit. It is conveniently located across from the IGA, and right on the #4 shuttle bus route that can drop off at the Whistler Base. We enjoyed cooking meals in the well-appointed kitchen, and going in the hot tub. It took about a day for the hot tub to warm up, so turn it on when you arrive. Trevor was very attentive and helpful, and came to help us with a new propane tank, lighter, and light bulbs for the suite. He noticed that we had children, and brought two sleds for them to borrow. There was plenty of space for two kids, two parents, and two grandparents. This is our third stay in this complex, and we will definitely return again! We had adjacent 2-bedroom condos that were just right for our family of 8. Super clean, spacious and completely outfitted. The shower water was blisteringly hot, just perfect for that end of the ski day warm up. The bedding was fresh and crisp, pillows comfy and plentiful. Then, as an added bonus, the owner/manager Trevor was onsite and available with tips and suggestions and help when needed. Very central location, easy to arrive and leave from, opposite the OGA and a short walk to the lifts. All round better than we were hoping for. Everything about condo was even better than I expected. Super clean. I think the two patios were more private than most and yet had a view of mountain. Beds very comfortable and plenty of extra pillows. Well stocked with pots, pans, cooking oil, etc. It was perfect distance to village. 5 min. walk to marketplace and cute shops, food, 10 min walk to village square.We parked our vehicle and did not get in again till we left. I planning on booking here again in the future! Wonderful property in a great location. 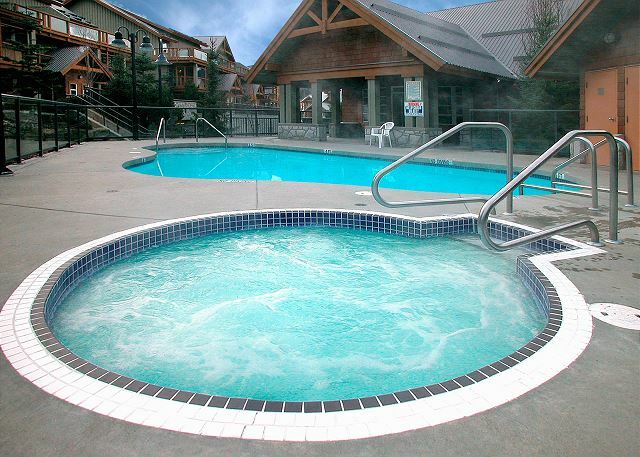 Protected parking under the units, great hot tub and right across from the Whistler Village market and town stroll. Five minutes drive to the lifts. Such a great place to stay, homely and plenty of space with everything we needed for a wonderful week down to tea and sugar! Well appointed and comfortable apartments, clean and tidy property and fabulous location walking distance to everything. The owners were very easy to communicate with and always willing to help via email. The hot tub was a treat! The condo was great! Clean and well equipped. Good location too.Would not hesitate to stay here again! 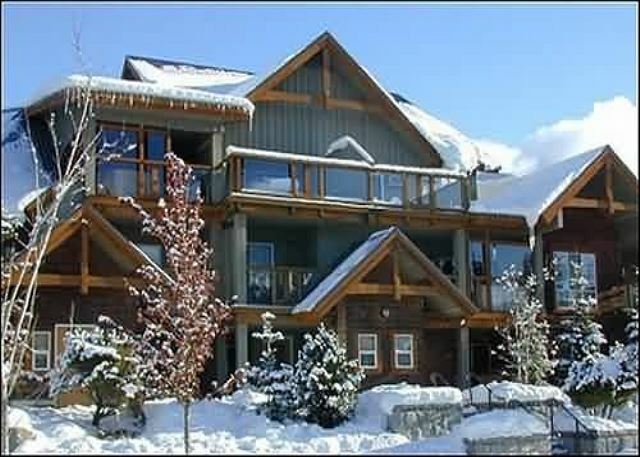 This was the great place to stay during my skiing holiday in Whistler. Only small disadvantage was distance from ski fields, but regular shuttle buses are great help. 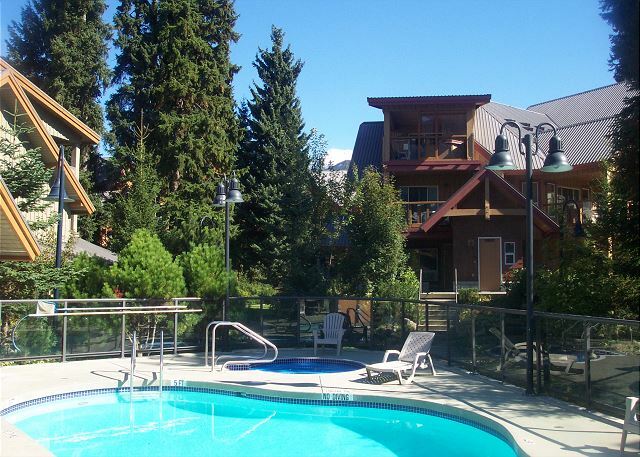 Our group had a wonderful stay at Glacier's Reach located just a few short minutes away from the Whistler Marketplace. 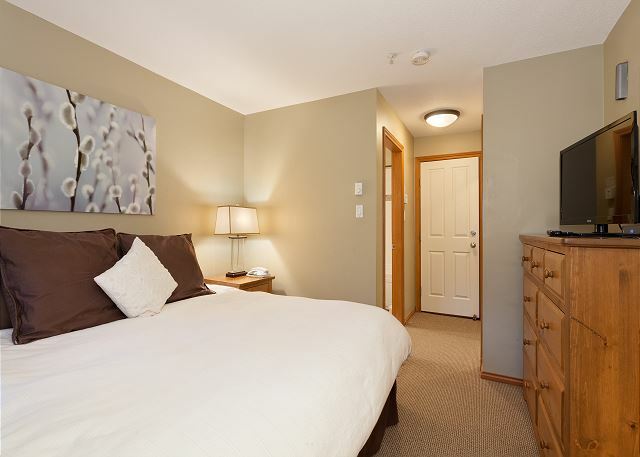 Its proximity to the bus stops and marketplace made it easily accessible and convenient 24/7. It's also only a 10 minutes walk away from the Village. The place itself was tidy and clean, with a heartwarming complimentary box sitting atop the table upon our arrival. The trick to opening the door to the balcony is unhinging the lock located at the bottom of the door. The hot tub was also preheated and ready to use any time. Overall, we had a fantastic stay at Glacier's Reach, and we would love to come again! Overall a very satisfactory stay. 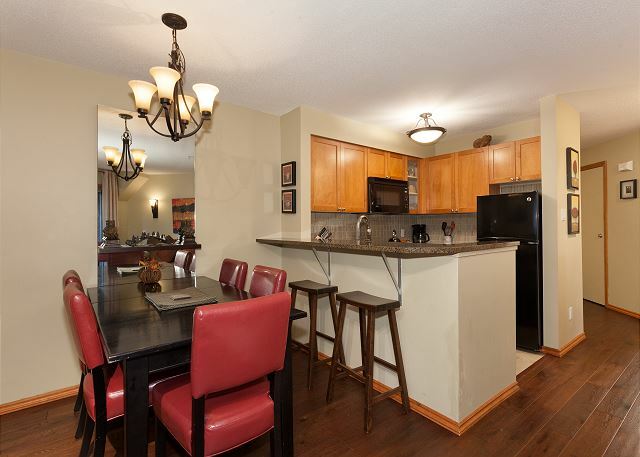 Unit is standard ski condo with all necessary amenities. 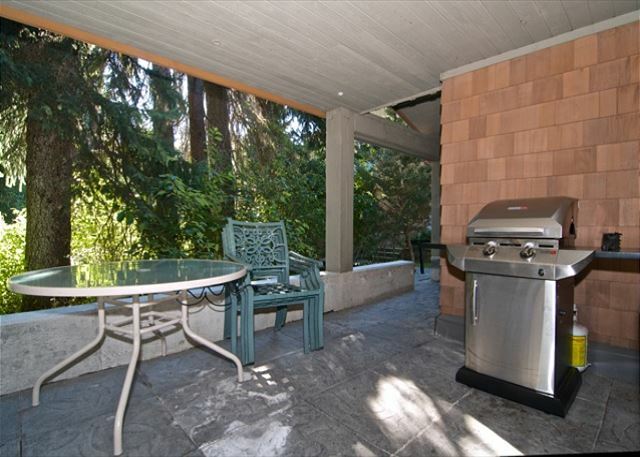 Private hot tub and underground parking are bonus. Close to Marketplace IGA which has everything one could possibly need for dining. Shuttle bus worked well except for powder day - then a complete fail, but walk to lifts was ok. Trevor and staff were very responsive and helpful. Spacious and cozy - everything we needed was there. Great location in the village. Made a great girls weekend perfect. This was our second time staying here. We loved it so much when we came in the spring that we decided to stay again. The units are always immaculate and the beds are super comfy. The private hot tub is amazing, although now due to noise restrictions you are only allowed to use it until 10pm. All in all, we will stay here again and we love how everything was in such close proximity. Great location. Clean unit. It was a pleasure staying here. We loved the location of the unit. 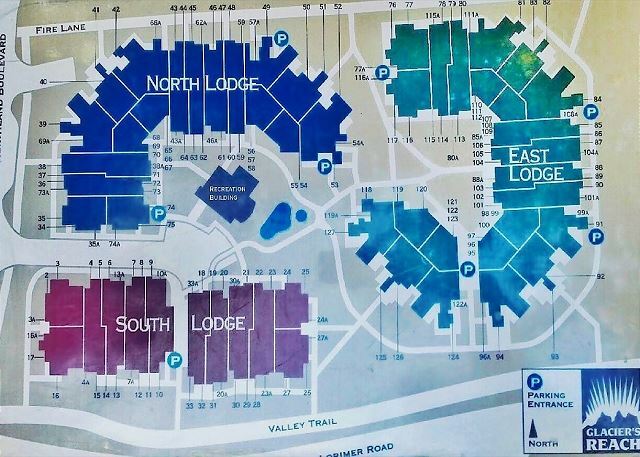 Close to Whistler Village, the dedicated parking spot and the pool. Because of these positives I would be inclined to stay in this unit, if not Glacier's Reach in all my future travel to Whistler. The maintenance woman on site was extremely outgoing. We had a few points of feedback on the unit at time of check out that would greatly improve ones stay, which she listen to intently. A belgian family in Whistler. Good organisation for (1) reservation (2)availabilty of access code and keys for parking: every think happened as described, no surprise. Large rooms, very clean, large terasse, materials of good quality, well located in the village (you can do every thing by foot). We booked last available 2b+2w condo for 6 persons with a very reasonable price during peak season. We glad we did it and we enjoyed a lot. The location is perfect, within 5 mins walking distance to center area but at the same time enjoy the peace. Facility itself is with enough space, full kitchen, laundry, fireplace, hot tub, everything. Beds are comfortable and everything is clean. We enjoyed quite a lot the hot tub at the same time. We recommended this place to a family or a group. Amenities were clean and good quality; hot tub soak - very relaxing. A generous sized property that ticked all of our boxes and was very clean. Trevor provided excellent service and assistance with a late check in. I would highly recommend.